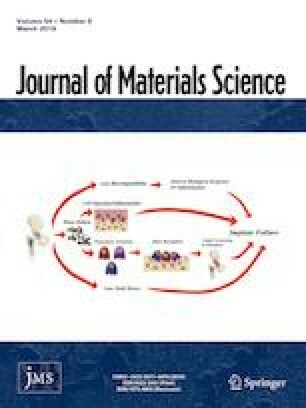 In this work, graphene oxide sheets (GO) filled polyvinylidene fluoride (PVDF) nanodielectric composites with methyl methacrylate-co-glycidyl methacrylate copolymer (MG) as compatibilizer were fabricated by solution blend process. MG improved the dispersion of GO and enhanced the interface strength between GO and PVDF matrix. The strong dipolar interaction between MG on the surface of GO and PVDF resulted in the crystal transformation of PVDF from α-phase to β/γ-phase and nearly 81% β/γ-phase PVDF formed for PVDF/MG@GO7.0 composite. The thermal stability, mechanical property, melting and crystallization behaviors of PVDF/MG@GO composites were improved obviously due to the enhanced interface strength between GO and PVDF matrix with the aid of MG. MG copolymers not only contributed to the uniform dispersion of GO in PVDF, but also prevented the direct connection of GO and effectively inhibited the occurrence of leakage current in composites. Therefore, the dielectric properties of PVDF/MG@GO composites were also enhanced significantly with the addition of MG compared with the PVDF/GO composites, which supported the fact that the dielectric properties of resulted composites could be tailored by using MG copolymer as compatibilizer. This work is supported by the National Natural Science Foundation of China (No. 51273025), Jilin Provincial Science & Technology Department (20170203010GX) and the Education Department of Jilin Province (JJKH20170551KJ).